What is Medigap Open Enrollment? 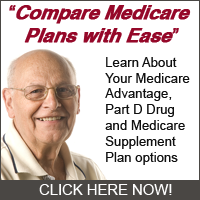 What happens to my Medigap policy if I join a Medicare Advantage Plan? What happens if I move out of state and have a Medicare Select policy? Can I keep my current Medigap policy if I move out-of-state? Why would I want to switch to a different Medigap policy? Do I have to wait a certain length of time after I buy my first Medigap policy before I can switch to a different Medigap policy?